Cuba defies conventional thinking: with half the land and people of the whole Caribbean, it seems more of a continent than an island. At the crossroads of the Western hemisphere for over 500 years, 20th century Cuba became a country where the clocks stopped for many decades. Its recent troubled history presents a story of brutal oppression and deprivation, but which is at the same time intriguing and fascinating. From the hot music clubs to Che Guevara murals, sensuality and socialism rub shoulders in Cuba’s great cities; and the newly-allowed art galleries display cutting-edge paintings and sculptures that might make New York or Santa Fe envious. Dilapidated mansions neglected for decades stand side-by-side with beautiful newly renovated colonial, art nouveau and art deco buildings. Take a journey with internationally published art and travel writer Irene Shaland to rediscover this island against the background of its 500 plus year history. Travel from Santiago to Havana, from Cienfuegos to Trinidad – to learn how Cuba is finding its way back to the future. Presented in conjunction with the AAWR exhibit of Augusto C. Bordelois. 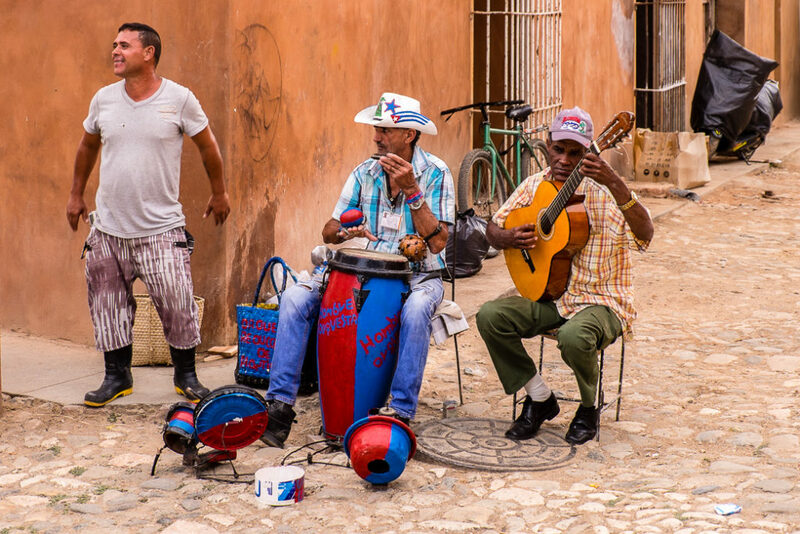 This entry was posted in Cuba, General, Lecture, Travel Photography, Travel Tips and tagged cuba, cuban arts, cuban history, cuban music, travel to cuba. Bookmark the permalink.